MORE CAKE PICTURES FOR YOU TO PERUSE. THESE ARE EXTRA CAKES THAT WILL NOT FIT ON THE OTHER PAGES OF MY WEB SITE. BE SURE TO TAKE A LOOK AT THE WEDDING AND CELEBRATION GALLERY PAGES TO SEE OTHER CAKE DESIGNS. 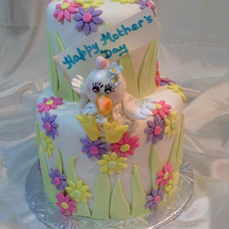 MANY CAKES, MANY DESIGNS FOR MANY OCCASIONS. YOU THINK OF A THEME & I CAN MAKE A CAKE FOR YOU. I NEED TIME TO MAKE A CUSTOM MADE CREATION. PLEASE BE SURE TO CALL ME EARLY TO AVOID DISAPPOINTMENT. Pretty summer wedding cake at Ancaster Mill. A little goth, a little classic. Lego the single life & lego get married! The popular rustic, nearly naked wedding cake. Intimate home garden wedding in Dundas. A groom's cake for a beer loving groom! UNDER THE SEA FOR A HAPPY 4 YEAR OLD! A snowy cake for a snowy day. Arctic themed birthday. Cute cake for cute birthday boy! The last Christmas cake of 2015. Wedding cake at Eglington Grand, Toronto. Replica bridal gown with eggplant calla lilies and blue debdrobian orchids. Romantic wedding cake - double tiered bottom layer, ombre shading in pink, peach and ivory. Edible peonies, garden roses and stocks. Just a small wedding cake but truly romantic at Ancaster Old Mill. Congratulations to my bride & groom. Ruffled wedding cake with fresh flower topper. A fun cake for a 9 year old - what's a Minion anyway??? Pretty summer wedding cake in delicious buttercream & edible white roses & hypericum. A fun fishy cake for a fun loving birthday girl! Congratulations on 50 happy years of marriage! Celebration at Black Bull in Burlington. Summer wedding with summer roses and bling buckles. Unique fall wedding cake in the design of silver birch logs, complete with knot & embellished with fall leaves made from modelling chocolate. Topped off with two little ceramic love birds. Venue: Burlington Golf & Country Club. Pretty end of summer wedding cake with edible ivory roses, tiny peach blossoms & pearl borders. Happy 60th birthday to a lady who loves flora & fauna. Celebration at Royal Botanical Gardens. Christening day with a less than traditional coloured cake. Happy Thanksgiving for friends and Hello Kitty! Winnie the Pooh and friends for a friend's birthday. Happy Mother's Day to a mother who raises chickens! A fun cake for a fun 16 year old. BAPTISM CAKE FOR BABY EMILY & MATCHING COOKIES FOR PARENTS, FAMILY & FRIENDS. Congratulations to McMaster graduate, Robbie. A BRIDE'S COOL IDEA FOR A WEDDING CAKE - DESIGNED TO MATCH THE WEDDING INVITATIONS. A golden egg for an eggstra special mom! Summer roses for a summer wedding. Pretty & elegant. Another lovely summer wedding at Edgewater Manor, Stoney Creek.